Buddhism is a religion that has been around for a very long time. It began in India between sixth and fourth centuries BCE. The founder of Buddhism is Siddhartha Gautama otherwise known as "The Buddha." There are two major braches of buddhism. 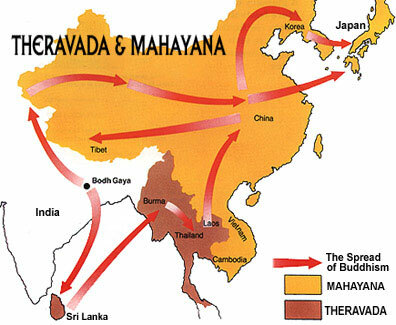 One is Theravada wich is mostly found in Southeast Asia. The second is called Mahayana which is mainly found in East Asia.